Didn’t your mother ever tell you to sit or stand up straight? Well, whatever her motivation, it was good advice, because, it doesn’t just make you look better, it also has some serious health benefits for the body and mind. And it works as a preventative health technique in some ways as well. But if you work in an office or at a desk, then chances are your posture will have suffered over the years. If you are slouched over your phone, tablet or computer right now, then this article is for you! Good posture opens your airways, keeping your respiratory system functioning properly. It protects your back and bones, strengthens the shoulders and spines and makes you look and feel better overall. 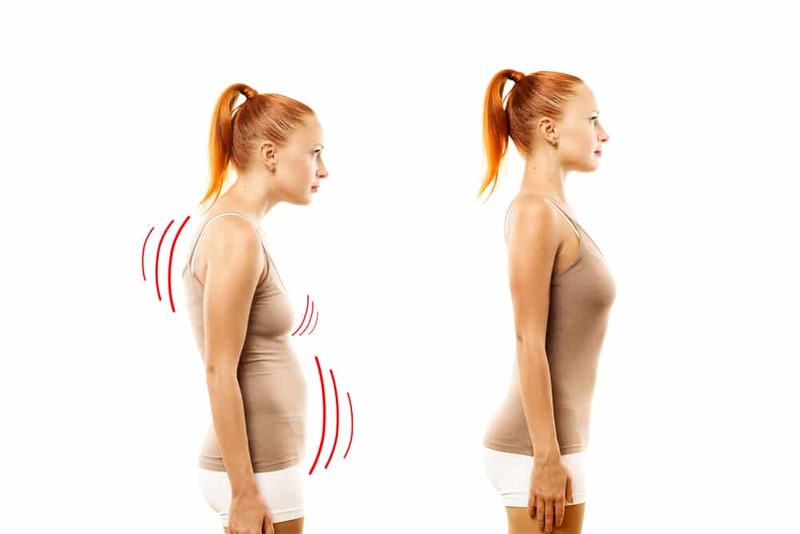 Good posture allows you to breathe properly. With an open chest and straight back, your lungs are able to take in a lot more air than they can if you’re slouched or hunched over. This will allow you to increase your oxygen intake, which, of course, is essential for circulation, energy levels and even the health of your skin. By breathing properly and opening the chest, your concentration will improve. That’s because the brain requires 20% of the oxygen we breathe in, despite it only taking up about 2% of the body’s mass. Good posture also protects your back. People with bad posture increase their risk of slipped discs, back aches and pains, pressure in the chest, and poor blood circulation. Standing correctly, on the other hand, minimizes these risks because it is in line with the way the body was designed to stand or sit. For a few decades, a large portion of western jobs have entailed sitting at a desk for 40 to 60 hours a week. This has led to slouching, hunching, snacking, little movement throughout the day, and all sorts of poor health outcomes as a result. In general, that office culture is terrible for our bodies. It causes a lack of circulation, bad posture, less energy, and sometimes weight gain. 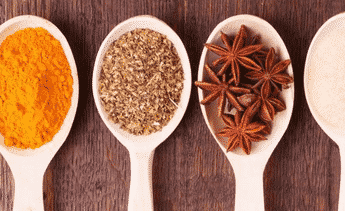 There have been steps taken in recent years to improve office health, including healthy snack options in canteens, adjustable standing desks, and short breaks throughout the day to stretch and move around. Some corporate people have even taken to ‘walking meetings’, which involves going for a stroll to talk business. It does take practice and toning to maintain good posture if you have gotten out of the habit of it. But it can easily be learnt and corrected. Generally, if you work on maintaining good posture at all times, you will train your body to do it naturally. Try to think about it if you are waiting in a line or walking to the shop. Your shoulders should be back and down so that your chest feels open, stretching across your collarbone. However, your lower ribs shouldn’t be puffed out, so lightly engage your core to protect your lower back. Tilt your tailbone very subtly downwards, lengthening the spine and correcting any major curve in the back. If you are standing still, plant both feet on the ground (don’t lean on one leg), and line your hips up underneath your shoulders with the back of your head in line with your spine. Don’t let your neck tilt forward or backwards. 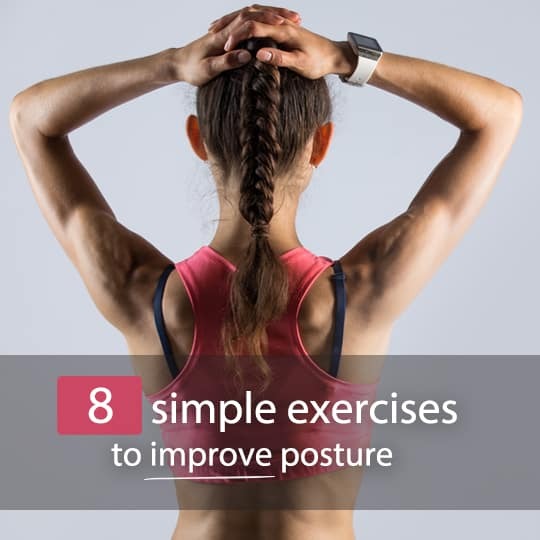 These exercises will help strengthen postural muscles to improve your posture naturally. Some of them can even be done at work every couple of hours to get you away from your usual position hunched over a desk or computer. This is a particularly beneficial pose to practice at work. You can simple stand up next to your desk and do a few rounds of these chest and shoulder blade stretches every few hours. Stand with a straight back, shoulders back and down and tailbone tucked in. Keep your core slightly firmed to avoid collapsing into your lower back. On an inhale, open your chest, spreading across your collarbone and clasp your hands behind your back. Lift your hands up behind you as far as you can, without tilting forward and squeeze your shoulder blades towards each other. On an exhale, round your back, bringing your arms in front of you and clasp your hands, pulling forward to stretch along your upper back and shoulder blades. Continue moving with the breath for a round of about 10 or 20, as many times throughout the day as you can manage! This pose involves the legs as well, but we’re going to ignore that part for the sake of this post, since we’re focusing on posture. If you want to try it with the legs, you can follow instructions here. So, you can sit either in kneeling pose (vajrasana), sitting your buttocks on your heels, or in easy pose, cross-legged. Next, extend your left arm up towards the sky with your palm facing forward and bend the elbow, bringing your left hand to your spine. Extend the right arm to the side, palm facing down, and then internally rotate the palm so that it is facing behind you. Bend your right elbow and bring your right hand up the center of your back. Turn your forearm into the hollow of your low back. Roll both shoulders back and down, but don’t arch too much in the spine so that you are collapsing into your lower back. Keep your core engaged to avoid this. Reach your left elbow upwards and your right elbow downwards, while keeping your shoulders relatively even. Don’t allow your elbows to drift outwards – the top one should be beside your head, and the bottom one beside your oblique. Firm your shoulder blades, drawing them together and down your back. (This may sound odd and confusing but if you attempt it, you’ll understand how it works!) Hold the pose for 10 to 15 long breaths and release for a few breaths. Then repeat swapping arms. This pose is less directly focused on improving posture, but what it does is strengthen muscles that support good posture. That includes your shoulders and core. If you are moving into plank from a standing pose, you can start by moving into a forward fold, and then step one foot back and then the other. Your weight should be resting on the balls of your feet and on your hands. Your heels should be pushing towards the back of the room. Make sure your wrists are directly underneath your shoulders and your back is straight. Don’t let your buttocks droop down or lift upwards. Your core should be firm, helping to support your body and spine. Make sure you are not rounding your upper back. To ensure you are not doing this, lift your shoulders upwards and sink your shoulder blades down. Hold the pose for at least a few breaths, increasing the length of the pose over time as you gain more strength. From plank pose, gently lower your knees to the ground and slowly bring your torso to the mat, keeping your elbows by your sides. Release your toes so that the tops of your feet are on the mat or ground and stretch your legs back. Place your hands, fingers spread, on the mat underneath your shoulders. Keeping your elbows by your sides, press the tops of your feet and thighs firmly into the mat and begin straightening your arms and lifting your chest off the floor on an inhale. Move slowly and go to a height that is comfortable for your lower back – your elbows can be bent or straight. Keep your buttocks firm, but not completely hard, and lift your pubis towards your naval. Release your shoulders back and down away from your ears, but don’t push your ribs forward too much, because that would put excess strain on your lower back. Ensure you are distributing the backbend evenly along the whole spine, not collapsing into the lower back. Hold for a few breaths and then ease your body back down to the ground. If you are moving straight into camel pose from cobra, you can sequence by moving through tabletop pose, then lifting your upper body up so that you’re sitting on your knees. Camel pose is particularly beneficial for office workers because it is a strong backbend that completely stretches the front of your body, including your chest, abdominal muscles, pelvis, psoas and thighs. At the same time, it strengthens your back muscles, improving posture. If you are kneeling, lift your buttocks up away from your heels so that you’re forming an L-shape. Slightly rotate your thighs inwards and firm your glutes, but don’t engage them fully. Draw your pelvis slightly forward and lengthen your tailbone towards the ground so that you don’t collapse into your lower back when you move into the pose. Press your shins and feet into the floor and rest your hands on your lower back when you move into the pose. Press your shins and feet into the floor and rest your hands on your lower back with your fingers pointing down. On an inhale, lift your chest up and out, pressing your shoulder blades down your back ribs. Start to lean back, keeping your tailbone and shoulder blades firm. If this feels like enough of a stretch along the front of your body, you can hold the pose here, but if you’re a bit more flexible and experienced, you can move into full camel pose by carefully placing your hands on your heels one at a time, moving deeper into the backbend. Lift your pelvis out, stretching your thighs even more, and make sure you are not collapsing into your lower back. If the pose feels alright, you can release your head back, stretching along the throat. Hold for five breaths, and when you are ready to release, firm your thighs and release one hand, rolling your head and body around the other side and lifting back up. After camel pose, you can move into child’s pose (instructions below) to release the back and then move into a standing pose. From mountain pose, step your left leg back about one leg’s length, with your toes pointing forward, but on a slight angle outwards. Your right foot should be pointing forward. Micro-bend your right knee to avoid locking the joint and lightly firm your left inner thigh. Both hips should be pointing forward, with your shoulders directly above them. On an inhale, lengthen your spine and start to move your chest forward over your left leg. As you exhale, continue folding, moving your fingertips to the ground initially, and release your head and neck down towards your leg. If you feel balanced enough, you can lift back up on an inhale, keeping your core engaged, and then clasp your hands behind your back. Repeat the move back down, but lift up with your hand, squeezing your shoulder blades together, really working your postural muscles. This time, hold the pose for about five breaths before lifting back up. Repeat on the other side. This is another particularly strong backbend that really strengthens back muscles and improves posture while stretching the entire front of the body, like camel pose. Start on your belly and take hold of your ankles. Make sure your knees are no wider than hip-distance apart. On an inhale, lift your feet, thighs and chest up, making sure your knees don’t drift outwards. Remember to breathe while holding this pose. You can gently rock forward and back, trying to lift a little more off the mat with every inhale. Again, it’s good to move into child’s pose to release the back after a strong pose like this one. 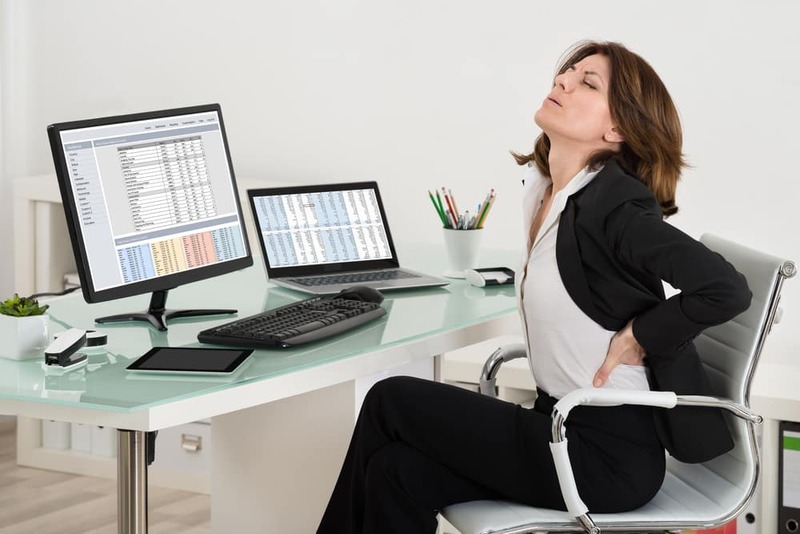 If you are an office worker with poor posture, then you are going to hate this pose the first few times you do it! It’s a real test on some of those important postural muscles, but it’s extremely beneficial for the whole body. Reverse plank stretches the front of the body from the ankles, along the thighs, groin, abs, along the front of the shoulders, all the way to the throat. At the same time, it strengthens your wrists, triceps and buttocks. Start by sitting in staff pose, with your legs extended out and your back straight. Slightly rotate your thighs inwards, pointing your big toes in and heels out, and press the palms of your hands into the floor behind your buttocks with your fingers pointing towards your back. If this is too much on your shoulders, you can turn your fingers out to the sides a little, and work towards moving them back over time. Bend your elbows and rotate your upper arms inward, widening your elbows. Lift your buttocks off the ground, followed by your chest, and point your toes down. Straighten your elbows as you continue to lift, and try not to hold your shoulders too close to your ears. Try to keep your scapulas (front of your shoulders) wide so that they don’t compress your flow of breath. Hold the pose for about five breaths and build up to longer over time. It’s important when doing these heart opener and shoulder/upper back strengthening poses that you release the back and stretch the shoulders and shoulder blades afterwards. You should always practice child’s pose after bow pose or camel pose, because it releases the tightness in the back and relaxes the muscles, decompressing the spine. Start in tabletop with your wrists underneath your shoulders and knees underneath your hips. On an exhale, sit back onto your heels. Your torso should rest on your thighs, or in between them for wide-angle child’s pose. Make sure your arms are stretched out in front of you to create more space along the back and sides of your body, and rest your forehead on the mat. You should feel a stretch along your back and between your shoulder blades. Stay here for a few breaths and allow yourself to relax. You can then send you arms backwards, either side of your body to rest and relax your shoulders even more. Stress and tight hips can actually have an impact on more than just that direct area. It can affect the way you walk, and can cause incorrect posture. So, even though this pose doesn’t directly impact postural muscles, it may still be important for your posture. Not only is pigeon an incredibly powerful hip stretching pose, but it can also relieve built-up tension and stress. Because these deep large muscles are often kept mobile in seated or standing positions, and clenched when we tense up, this pose can cause an extremely strong sensation in the area that can, at first, be quite uncomfortable and intense. However, over time, the sensation will become more relieving than painful. If you are inexperienced, you can begin by using props to support yourself. Start in tabletop position with your hands shoulder-distance apart. Bring your right leg forward, placing your knee just behind your right hand and your ankle behind your left hand. Don’t force your ankle to go right up to your wrist, if it’s on a diagonal towards your groin, that is fine. Your left leg and hip should be facing the ground. Use your back toes to lift the leg and slowly work it backwards so that it is straight on the mat, until you feel a deep stretch along the hip and buttocks muscles of the front leg. Take a few breaths and relax into the pose. If this is enough of a stretch, remain with your hands on the mat and your chest up. Otherwise, you can lower your upper body towards the mat, leaning on your forearms, or resting your arms on the ground in front of you and placing your forehead on the floor. Take your time in this pose – if you can stay in it for a few minutes, the muscles will relax more and the stretch will be more beneficial. Repeat with the other leg.